Baby Boomer Downsizing Incentive Scheme – How You Can Cash In! The federal government’s new ‘downsizer’ incentive came into effect on July 1 and experts expect more family homes will hit the market as a result. Haven’t heard about the changes? Read on to find out how you can potentially cash in on your family home. The scheme allows homeowners over 65 to use the proceeds from selling their home to make a one-off deposit of up to $300,000 into their superannuation fund. The limit applies per person, meaning a couple can contribute up to $600,000. What does it mean for the downsizers? The incentive is designed to encourage older homeowners to sell properties that no longer suit their needs by allowing them to take advantage of the tax benefits of investing surplus money into super. Normally, people over 65 face caps on voluntary super contributions, with earnings from contributions above their limit taxed at a higher rate. 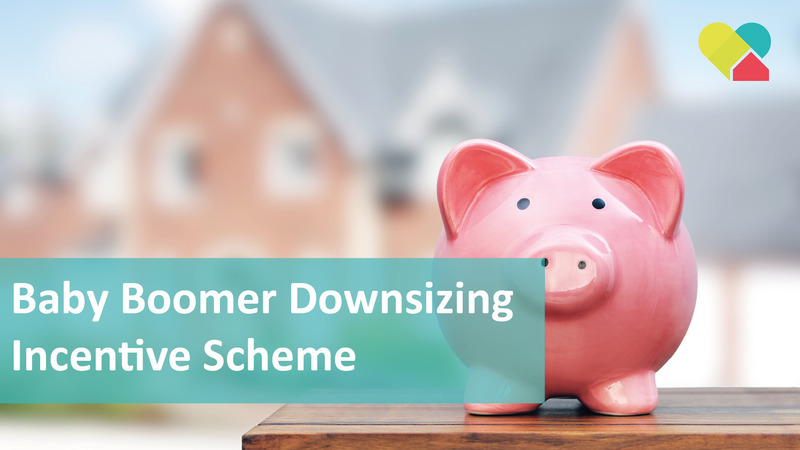 The downsizer contribution does not count towards contribution caps, meaning homeowners taking advantage of the scheme get a tax discount and could end up with more money in retirement. Depositing the surplus into super can make more sense than putting it towards other investments, where earnings are taxed at the investor’s marginal tax rate. What does it mean for the upsizers? The measures could increase the supply of homes for younger families by reducing barriers preventing older homeowners from selling, and allow more movement within the property market. However, an influx of downsizers could create more competition for affordable properties such as smaller homes, units and villas. So, is the scheme worth it? Despite the tax benefits, downsizers should carefully consider whether the scheme will be effective for their personal situation. Taking into account selling costs for the old property and stamp duty for the new home, the amount of capital released may be less than expected. And for homeowners moving from a dated family home to a modern and well-located apartment, there may not be a big difference between the prices of the two properties. It’s also possible that selling the family home could make some people ineligible for the age pension. The family home is exempt from someone’s assets when looking at the pension tests, but cash is not exempt. By disposing of your house and liquidating that into cash, individuals will need to consider how this will affect eligibility. It’s best to speak to your accountant and financial planner who can advise you on what the potential impact might be. What are the ground rules for the scheme? Homeowners must be 65 years or older at the time of the contribution. The home must have been owned for at least 10 years prior to sale. The downsizer contribution must be made within 90 days of settlement. The home must be in Australia. Houseboats, caravans and mobile homes are excluded. Homeowners can only make a downsizer contribution from the sale of one home. The proceeds of the sale must be either exempt or partially exempt from capital gains tax under the main residence exception. Homeowners aren’t required to purchase another dwelling. Spouses of homeowners can claim the contribution, even if the house is owned in just one spouse’s name. The contribution can still be claimed if ownership has transferred from one spouse to another due to death or divorce, as long as the combined period of ownership is at least 10 years.